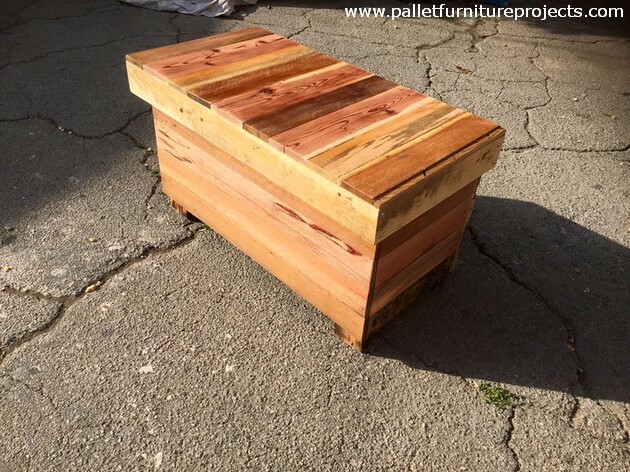 If we start talking about a wood pallet recycled chest, the question would arise that despite of all other wooden furniture articles why one would need a wooden pallet chest? Well, this has been addressed so many times over a number of months that in the urban livings we are always running short of spaces as we are provided with just some mere square feet. So this becomes mandatory to arrange for some generic storage hacks that are other that the conventional wooden racks and shelves. That’s why we keep bringing several wooden pallet chests repeatedly. Now if you are ready to go ahead, you just need some basic supplies as usual like some fine shipping pallets that were lying idle in your backyard. Some other common tools that are needed during the process of recycling like some saw, hammer, staple gun, nails and glue etc. after being equipped with all of these basic supplies, put on your gloves and goggles and just get started. You are going to upcycle a damn important wooden article that would help you in various daily life matters. 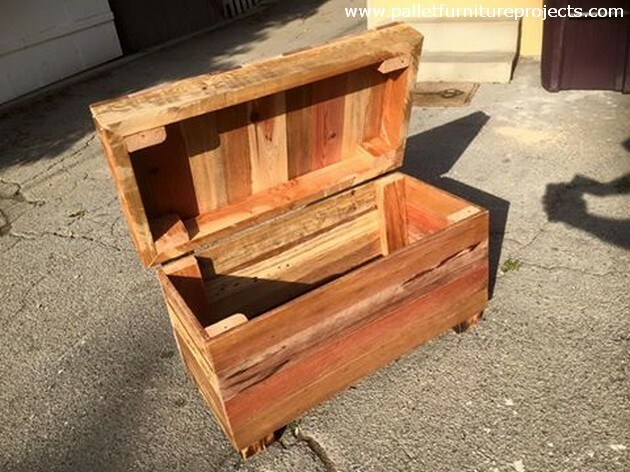 Collect all the excessive accessories that couldn’t make their place in other furniture items and stuff them inside this wooden pallet recycled chest. 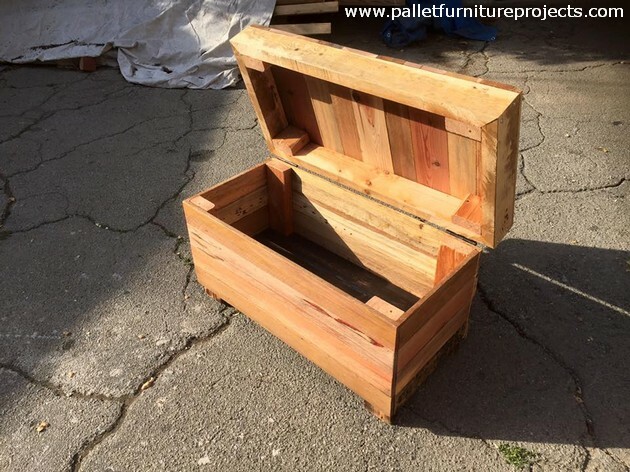 Now let’s talk a bit about the basic structure and shape of the wooden pallet repurposed chest. This is just like a common rectangular wooden box that has got a decent wooden door to be opened and closed. The door is connected with the body using a metallic railing that we have nailed throughout. Make sure you have got some finest shipping pallets. Finally you can also fix a lock outside or leave it open depending on your choice. Staining also depends on your priorities, this is not mandatory at all to stain it.